Most people wonder why companies give away freebies and what they really have to gain from it. Well, companies give out free products for a number of various reasons, but most firms use it as a part of their marketing strategy with the aim of gaining new clients. We have also made it easier for you to see why by looking at this infographic, it will outline why companies give away free samples. That being said, let’s look at some of the main reasons why companies give away freebies. Most of the businesses out there have come to realize that giving out free samples ultimately increases their customer base. When a customer tries a product for free, they are likely to purchase the full sized package in the future if they happen to like it. This kind of promotion is usually designed to promote a new product or service. Ideally, awareness of a new product or service, even a well-established one, is likely to increase during the free sample giveaway period. In the long run, this is an economical way for companies to advertise their products and services. 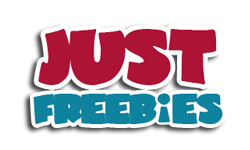 Freebies also increase loyalty from clients that are already buying from the company. It’s hard for people to choose one brand over the other in the same niche if they don’t know what the new brand really has to offer. Well, giving out free samples is beneficial in that potential consumers get to try the product and judge the brand without spending a dime. Another great advantage of giving out free samples is that it allows the company to collect figures and facts from potential customers in regard to their products and services. That’s why it important to note that you exchange your personal information when you sign up for a freebie. These are some of the reasons that companies give away freebies occasionally.